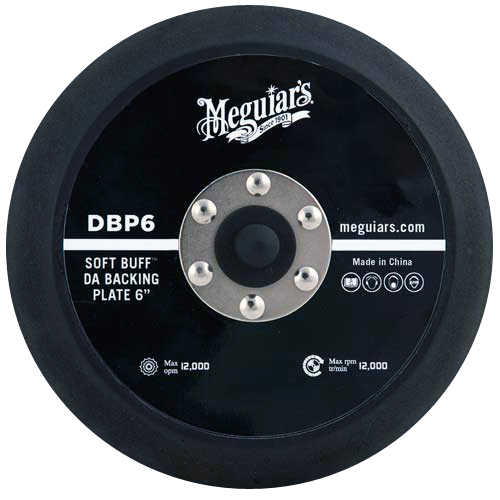 Meguiar’s 6” DA Backing Plate is fine tuned, well balanced design distributes pressure evenly for a less vibration during your polishing and refinishing process. 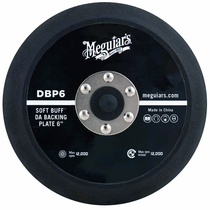 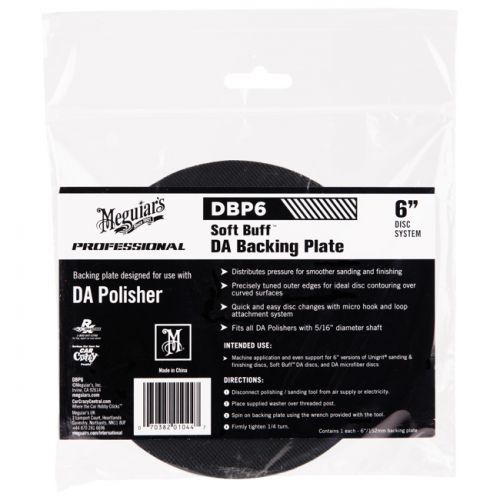 The edge of the Meguiar’s 6” DA Backing Plate is created to contour Meguiar's Soft Buff Dual Action 6” Foam Pads or Meguiar's Dual Action 6” Microfiber Pads over level or contoured paint surfaces. 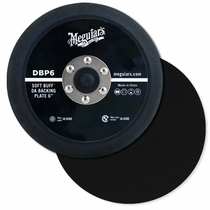 Meguiar’s 6” DA Backing Plate feature a rotation marker that allows you to recognize backing plate rotation for better control and optimum results.